Fantastic wig. Excellent quality, really easy to wear. So happy, thanks! Fantastic wig. Excellent quality, really easy to wear. So happy, thanks! Looks great on you! we are very glad you generously uploaded your picture and shared it with other customers. It will be very helpful for others customers to review the products. Thank you again for taking the time to do it, we really appreciate that. looks great on you! we are very glad you generously uploaded your picture and shared it with other customers. It will be very helpful for others customers to review the products. Thank you again for taking the time to do it, we really appreciate that. 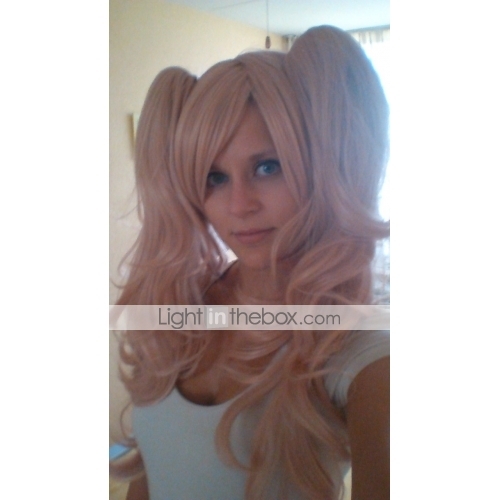 The Wig is great, very good quality, heat resistant, clear. I bought it thinking I was blonde, but then I went to see that it was light pink, my mistake. The wig was mislaid but immediately Light in The Box sent another, at no additional cost, which arrived less than 1 month after shipping. Super satisfied with the product and the answering service. A Peruca é ótima, qualidade muito boa, resistente ao calor, claro. Comprei achando que fosse loira, mas depois fui ver que era rosa clarinho, erro meu mesmo. 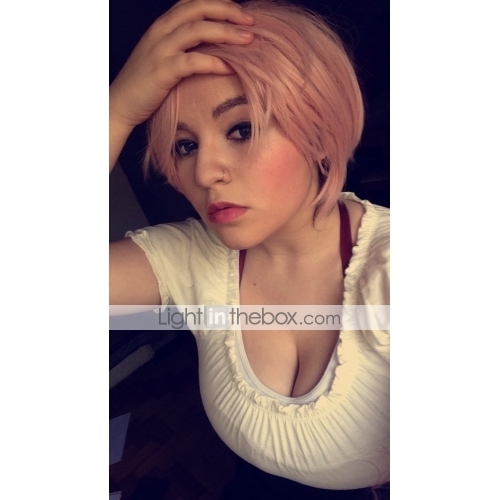 A peruca foi extraviada, mas imediatamente a Light in The Box enviou outra, sem custo adicional, que chegou menos de 1 mês após o envio. Super satisfeita com o produto e com o serviço de atendimento. Thank you for your comment. We value your opinion about our services and products, thanking the confidence placed in our company and renewing our motivation to serve you better and better. Muito obrigado pelo seu comentário. Valorizamos a sua opinião acerca dos nossos serviços e produtos, agradecendo a confiança depositada na nossa empresa e renovamos a nossa motivação para servilo cada vez melhor. Beautiful wig! am incredibly happy with it! 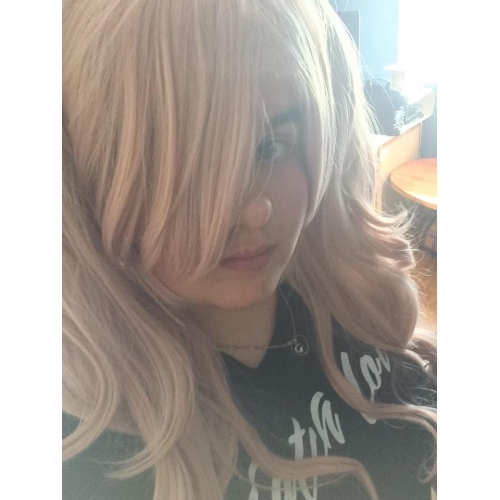 Wig is really rosier than in the picture and has much more curling and succeeding in the two tails. Also, the tails on the given picture do not appear to be very thick, but in fact it is! The two tails sit with a clip attached to the hood and can be taken off. The wig was also delivered on time. Personally, it is highly recommended! Its worth the price. Thank you!! Beatifull wedge !! Im beyond happy with it! The wedge is in real life a lot pinker then on the picture and the wedge has much more waves in the ponytails then the picture shows. Også på billedet ser det ut som at ponytails ikke inneholder så mye hår, men i virkeligheten det er veldig tykt! 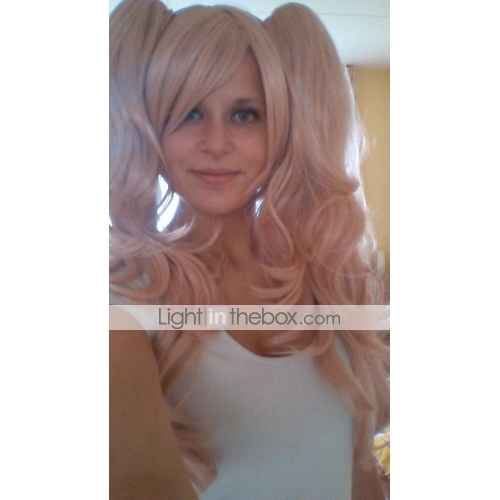 The two ponytails are separated from the maincap, you can attach the ponytails with a hairclip. I really recommand this wedge !! Prachtige pruik! ben er ongelofelijk blij mee! Dear customer, we are very happy that you have generously downloaded your photo and shared it with other customers. It will be very useful for other customers to review the products. Thanks again for taking the time to do it, we really appreciate it. Cher client, nous sommes très heureux que vous ayez généreusement téléchargé votre photo et que vous lavez partagé avec dautres clients. Il sera très utile pour les autres clients dexaminer les produits. Merci encore de prendre le temps de le faire, nous lapprécions vraiment. This wig is absolutely perfect. It is great for her character because it is the right shade of pink/blonde and the ponytails are thick. All of my friends loved it and I kept getting complements on how great the wig is for the character. This wig is absolutely perfect. It is great for her character because it is the right shade of pink/blonde and the ponytails are thick. All of my friends loved it and I kept getting complements on how great the wig is for the character. Looks a lot pinker than in photo!!! Looks a lot pinker than in photo!!! Really great wig! It looks blonde in the photos, but its actually more pink. Its the color I wanted though! To me it looks a bit thin here, but its actually super super thick! Im very happy with it! Really great wig! It looks blonde in the photos, but its actually more pink. Its the color I wanted though! To me it looks a bit thin here, but its actually super super thick! Im very happy with it! The wig quality is good but its not blonde at all, its a strawberry blonde I guess. But either way its more pink then blonde. 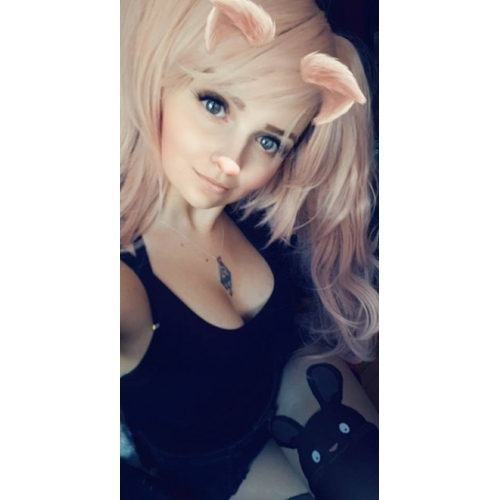 If your looking for what in the image AVOID buying this wig. But it will come in handy for a Junko cosplay just not the cosplay I was hoping to do. The wig quality is good but its not blonde at all, its a strawberry blonde I guess. But either way its more pink then blonde. If your looking for what in the image AVOID buying this wig. 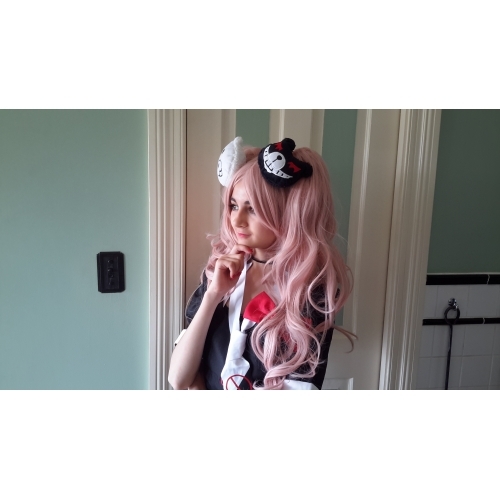 But it will come in handy for a Junko cosplay just not the cosplay I was hoping to do.